Do You Need to File a Gift Tax Return by April 15? With less than two weeks to go before the April 15 tax deadline here are a few time-sensitive ideas for your consideration. 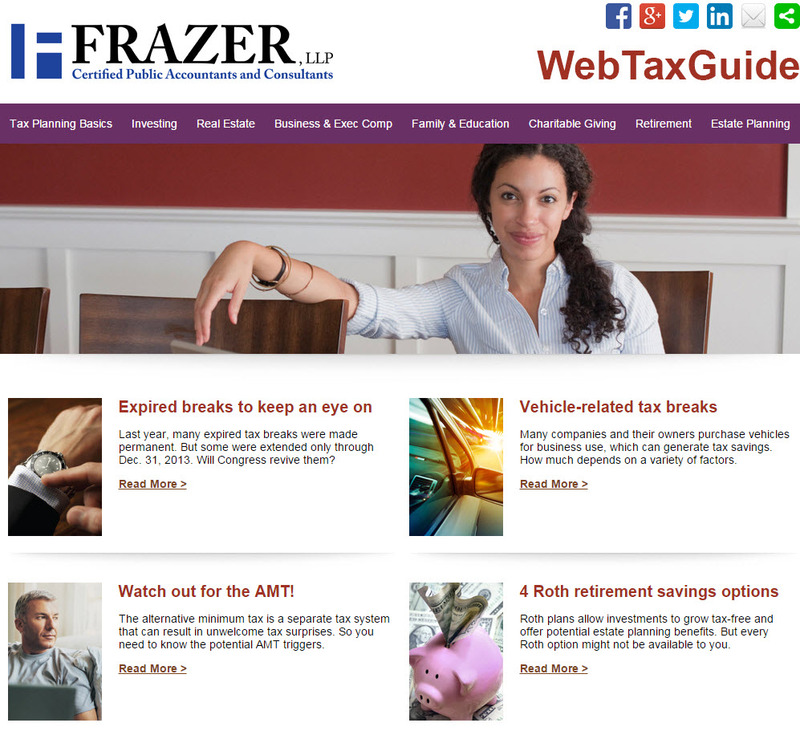 As always, contact your Frazer LLP tax advisor in Brea (714.990.1040) or Visalia (559.732.4135) with any questions or to determine if you qualify. Do You Need to File a Gift Tax Return by April 15, 2015? Of future interests — such as remainder interests in a trust — regardless of the amount. There may be other instances where you’ll need to file a gift tax return — or where you won’t need to file one even though a gift exceeds your annual exclusion. Contact us for details. Yes, There is Still Time to Make a 2014 IRA Contribution! The deadline for 2014 IRA contributions is April 15, 2015. The limit for total contributions to all IRAs generally is $5,500 ($6,500 if you were age 50 or older on Dec. 31, 2014). 1. Deductible traditional. If you and your spouse don’t participate in an employer-sponsored plan such as a 401(k) — or you do but your income doesn’t exceed certain limits — the contribution is fully deductible on your 2014 tax return. Account growth is tax-deferred; distributions are subject to income tax. 2. Roth. The contribution isn’t deductible, but qualified distributions — including growth — are tax-free. Income-based limits may reduce or eliminate your ability to contribute, however. If you own commercial real estate you have a unique, one-time opportunity to create significant increased cash flow. The time to act is limited to the 2014 tax year filing deadline. Under the new IRS rules, effective January 1, 2014, owners of commercial real estate can now assign a value to the 39-year components that are replaced and write-off and treat as a deductible expense the remaining adjusted tax basis. These Partial Dispositions can be taken during the current tax year.